Perhaps you want to reclaim your garage? Moving or getting the builders in? Perhaps your kids are getting older and you just want more space? Self storage is ideal for summer breaks and gap year storage for students. Instead of bringing all your possessions back home why not put them into an affordable unit? It is a much cheaper option than extending your room rental all summer or doing three or four runs to store things in your parent's garage. We will have someone collect your boxes from your student accommodation and deliver to House and Stock. With a minimum term from just two weeks, you can stay as long as you like. Don't feel under pressure to commit to long term contracts. 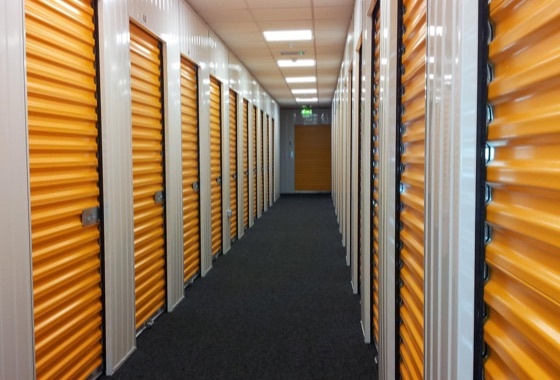 Self storage is about flexibility for you, to store as you need, for the time period you require. We have a fully accessible building with ground floor level-access and 1st floor with stairs & lift access. We have toilets & refreshments on site as well as free parking, free use of trolleys and free wifi access. Check the Home Page for opening times. Using the secure fob entry system you will have direct access 7 days a week during our opening hours. We open most Bank Holidays but it is best to call ahead to verify. Don't pay for more space than you need. We will put you into the smallest unit possible to fit your belongings, that way you can be sure you are not overpaying for your requirement. Insurance is available for your belongings. Your storage provider should offer you insurance cover for your goods. If they don't, your belongings may be at risk. Your belongings are securely stored at all times in a fortified premises monitored by CCTV, intruder alarm, fire detection systems.